From left, the PGA of BC is proud to announce the recipients of six of its annual awards: Matthew Palsenbarg (Dunc Sutherland Distinguished Service Award), Oliver Tubb (Stan Leonard Player of the Year Award presented by Impact Tournament Systems), Kevin MacDonald (Jim Gibson Patron of the Year), Brad Ziemer (Arv Olson Media Personnel of the Year Award), Revelstoke Golf Club (PGA of BC Community Leadership Bursary) and David Stashuk (Jim Gibson Scholarship). RICHMOND, BC (PGA of British Columbia) - The PGA of BC is proud to announce the recipients of four of the Association's 2018 awards, as well as the PGA of BC Community Leadership Bursary and the Jim Gibson Scholarship. These honours are designed to recognize leaders in the golf community exhibiting qualities such as volunteerism, selflessness, passion, and dedication to the game. Presented by DGL Sports Enterprises Ltd. The Dunc Sutherland Distinguished Service Award presented by DGL Sports Enterprises Ltd. is awarded to a PGA of BC member who demonstrates exceptional commitment to the Association by supporting and promoting the Association's brand, events and initiatives. This year, the PGA of BC is pleased to present this award to Matthew Palsenbarg, Head Teaching Professional at Northview Golf Academy. A 15-year member of the Association, Palsenbarg made significant contributions to the PGA of BC on multiple fronts in 2018 through a combination of competition, excellence in golf instruction and industry research. The 37-year-old spearheaded an examination of the golf-teaching business in British Columbia, soliciting information from across the industry through a survey of the PGA of BC membership. He then traveled around the province and worked with Association colleagues to present the results during PGA of BC Education Series events, providing insights specific to each region and on industry trends as a whole. Palsenbarg was the Lower Mainland region's 2018 recipient of the Jack Westover Coach of the Year Award and the Davie Black Professional Development Award, making him a provincial finalist for those honours to be presented Oct. 10. 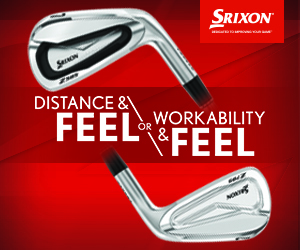 He also recorded three top-three finishes in five Association tournament starts this year, including a victory with amateur Jake Scarrow in the Tournament of Champions presented by Thunderbolt Sign & VIP Golf. The Jim Gibson Patron of the Year Award is presented each year to a person, group of people or organization that demonstrates an exceptional contribution to the Association's initiatives. This year, the PGA of BC is proud to present this award to Kevin MacDonald of Clarity Success Coaching. A professional and personal success coach with an extensive background in the hospitality and golf industries, MacDonald is well known to PGA of BC members as a presenter at numerous education and professional development events put on by the Association, the most recent occasion coming this past January. MacDonald's experience as a country-club general manager and passion for the game of golf instilled in him a great respect for Golf Professionals, and he has generously offered his services -- free of charge -- to dozens of PGA of BC members seeking guidance on topics such as leadership and management, career planning and goal-setting, overcoming professional challenges, and much more. The Stan Leonard Player of the Year Award presented by Impact Tournament Systems recognizes a PGA of BC Professional who realized the greatest success in competition among all Association members over the past season. This year's recipient is Oliver Tubb, Candidate for Membership at University Golf Club. It's the first time Tubb has won the award, but it's hardly a surprise to see him claim the honour given his year-to-year consistency as one of British Columbia's top competitors. Tubb had an outstanding year of tournament play that saw him top the PGA of BC Order of Merit presented by E-Z-GO, propelled by a victory in the 2018 PGA of BC Assistants' Championship presented by Irene Strong, Mortgage Professional, plus a fourth-place finish in the TaylorMade & adidas Golf PGA of BC Championship presented by Axis Insurance Group. He also represented British Columbia admirably at the national level, highlighted by a top-10 finish at TaylorMade & adidas Golf PGA Championship of Canada, and was a force on the Lower Mainland's local circuit with three wins on the G&G PGA of BC Tour. The Arv Olson Media Personnel of the Year Award recognizes a media member or organization that has made a significant contribution to the PGA of BC over the past year. This year, we are proud to present this award to Brad Ziemer of British Columbia Golf. A previous recipient of this honour in 2015 near the end of his 30-year run at the Vancouver Sun, Ziemer has remained British Columbia's preeminent golf reporter since transitioning to his current role with the provincial sport organization. Beyond his regular dispatches on PGA of BC tournaments and the results achieved by Association members in his weekly Golf Notes column, Ziemer's 2018 reporting has focused on the efforts of Golf Professionals and member facilities outside of competition as well. This season, that included profiles of several coaches and teachers within the PGA of BC, features on various courses employing Association members across the province and much more. Ziemer becomes the first two-time recipient of the Arv Olson Award. The PGA of BC Community Leadership Bursary recognizes an individual or member facility within the Association that demonstrates an extraordinary desire and passion to make a difference in the lives of others, setting an example of "giving back" with which all PGA of BC members are proud to be associated. This year, we are pleased to award this bursary to Revelstoke Golf Club. By launching a Community Junior Program in 2017 that provides free club memberships to local residents under the age of 19, the club has seen its youth participation soar. Revelstoke had fewer than 20 junior members prior to the program's implementation, but the club boasts 140 juniors within its membership this season. The Community Junior Program also provides complimentary clinics on Monday evenings through the spring months. Bursary funding will be utilized to support this program and its terrific work in making golf accessible to all Revelstoke youth. The Jim Gibson Scholarship is named in honour of the late Jim Gibson, a longtime supporter of the PGA of BC who valued education in his role as a Professional and was extremely well versed in the game. The recipient of this scholarship exemplifies volunteerism and demonstrates a passion for furthering their education for their community's benefit. The PGA of BC is proud to award the 2018 scholarship to David Stashuk, Candidate for Membership at Capilano Golf & Country Club. The 28-year-old, who received his CFM designation in 2017, took the reins of Capilano's junior program this year and has placed emphasis on providing on-course experiences for youth aged 10 and under. He is currently enrolled in a three-year, business-management program through Athabasca University. Making a further commitment to professional development, Stashuk will be attending the renowned Coach Camp taking place in Savannah, Ga., in December. 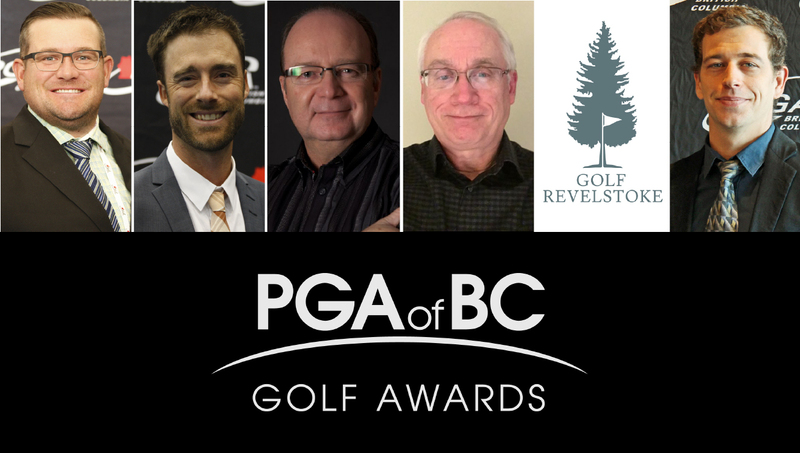 We congratulate each of the above on their achievements, and look forward to recognizing them, along with other awards recipients at next week's PGA of BC Awards Celebration presented by Replay Golf Supplies. Click here for a complete list of nominees. Among the awards being presented at the event will be the newly created Executive Professional of the Year Award. The Association is proud to announce that this award has been named in honour of longtime PGA of BC Professional Cec Ferguson. An elite amateur and Professional competitor in the 1970s, Ferguson later spent decades in club management in BC and Saskatchewan. Following 12 seasons as a Head Professional between the two provinces, he went on to serve as General Manager at Myrtle Point Golf Club in Powell River, Regina's Wascana Golf & Country Club and at Vernon Golf & Country Club. Ferguson passed away in 2017 at the age of 67. "Cec Ferguson was one of the Association's most respected members, and given his track record as an exemplary club manager, there is no better individual in the PGA of BC's long history to associate with the Executive Professional of the Year Award," said Executive Director Donald Miyazaki. "The role of Executive Professional is a relatively new one in the PGA of Canada's 107-year existence, and Cec was one of the pioneers of paving a path for many of today’s General Managers. "We sadly said goodbye to Cec last year, but are thrilled to be honouring his memory and his tremendous legacy as a Golf Professional through the dedication of this award." Limited tickets remain for the PGA of BC Awards Celebration; for more information, or to purchase tickets, please click here. The PGA of BC is an association of highly skilled and dedicated golf professionals who promote, play, develop and advance the game and business of golf for the benefit of its members and the people of British Columbia. Our members teach and administer golf while providing strong leadership in the community through charity events and volunteering. Dynamic and savvy, PGA of BC professionals are available at more than 200 golf facilities - a vital resource to the future of the game in Canada's golf capital. For more information, please visit http://www.pgabc.org/.